One month into the Hanlon and Associates Sustainability Plan, and we are … adjusting well with room for improvement. September was compost month. We placed a brand-new compost bin in the shared office kitchen and hoped it would work. Overall, we gained some friends, grew our knowledge, and after a few weeks fully adjusted to the compost life. How did we do, you ask? To put it simply, anything that has once lived or was created by a living organism can be composted. Relevant to our office – coffee grounds and filters, banana peels, apple cores, pizza crust, cupcake cups, avocado peel and pit. What can I NOT compost? The contents inside do, smell, yes. But the bin is designed to keep smell from escaping. So far we have not had a problem with a stinky kitchen. How do you dispose of the contents of the bin? How often should we empty the bin? 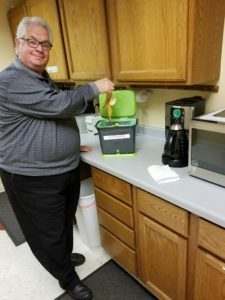 In order to keep smell to a minimum and keep our office as clean as possible, we started bringing our compost to designated compost sites weekly. But soon, utilization of the compost bin increased; we now must bring the compost bags to designated drop off site twice weekly! Impressive. Technically yes, but meat is a major attraction for pests – ants, mice. 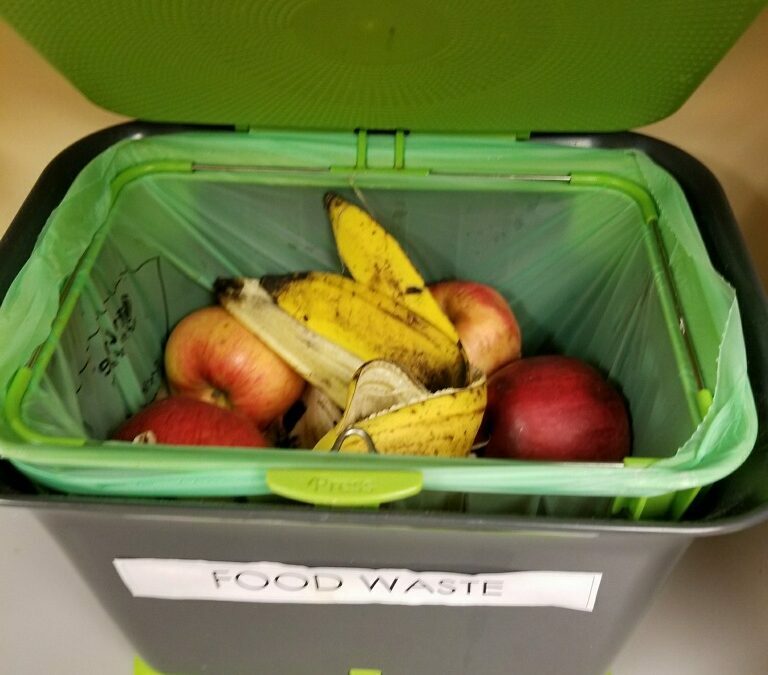 We have seen growing enthusiasm about composting; in fact, our office neighbors Meyer Borgman Johnson Engineers have been participating as well. But changing habits always creates a learning curve and our team has some room to grow. September might be coming to a close, but our new routine of composting will continue. Looking ahead into October, our next sustainable practice will tackle saving the trees. This month, we will search for new and creative methods to cut back on our paper waste. Prepare to see us promoting our DocuSign electronic filing, stock our office with reusable towels, and even create our own cleaning spray. You might be wondering the reason behind our sustainability plan. Why is our office dedicating itself to developing new green practices? Quite simply – we care about our environment. Offices create a huge carbon footprint when not managed. From improperly disposing of paper, to eating restaurant food each day, to driving a few blocks to a meeting for convenience. It became clear that with a plan and some motivation, our six employees can make a big difference for our community and Earth. We encourage you to make a difference in your life, as well. Because if the Hanlon and Associates team can do it, we’re confident you can, too. Read more about how you can create your own easy step by step office sustainability plan.